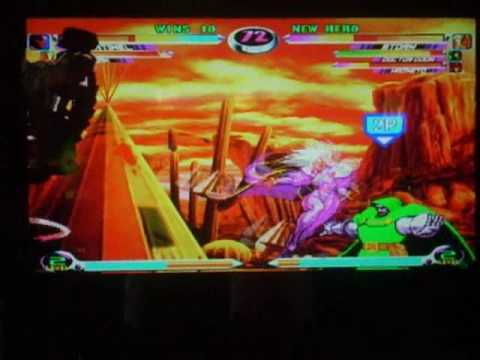 In honor of the recent release of the Capcom remake, we have released a video of MvC2 play. Two high-level players, Mike D. and Faris H., graciously allowed us to film two of their matches during a trip to Fun Fun Fun in Fayetteville, N.C. They are good friends and play against each other quite a bit apparently, so their matches tend to go either way. It’s sort of like when Jamie and I play each other. We’re proud to present these two matches and hope to have more in the future! UPDATE: The ITG sounds have been updated and will be hosted by Gaming Insurrection until a better place can be found. Also, please register at the places that ask for it and help them out. After visiting Nashicon at the University of South Carolina, I met some folks that gave me good leads on getting video game and anime soundtracks. I’m returning the favor. You always need to share when it comes to music and good stuff such as OSTs. * Galbadia Hotel – Go here for video game soundtracks and check out the forums (you need to register to take advantage of the links) for more obscure stuff. Register and help them out. They’re pretty good overall and they need donations to stay alive. * In the Groove music – All music from the first two games in the series in .zip format. The ITG song folders contain all songs in .ogg format. If you need to convert these files to .mp3, open them in Winamp and use its converter plug-in called LAME .mp3 to convert them. WARNING: This file is huge. It’s 300MB+. * Sound Test – A database of music for gamers. * Zenius-I-Vanisher – An awesome site. If you’re at all into DDR, go here for just about anything from every DDR game ever made. You should register to help them out. I use them primarily for my Stepmania collection. * Metroid Database – Anything and everything Metroid related. Even if you go there just to read stuff on Metroid, that would be great. Their collection of Metroid sounds is the best I have ever seen. And they are extremely high quality. Check out our video game music packs in the multimedia section of our main site for some of our favorite games. They are just a taste of good music. I received an interesting query on our video for Crazy Taxi the other day. A video commenter asked if another Crazy Taxi title would be released. I replied that I didn’t believe that there would be another game, but I expressed my hope that there would be something for the Wii. I want to expound on that theory because I think it can be accomplished with the right developers and tools. If you think about Crazy Taxi in a critical sense, the first two games were OK. The first was the best and the sequel was alright but not the greatest. I think given the platform setup for the Wii, Sega could have another hit on their hands if they revisit the well that made the first game great. I feel that if they combined three main titles that they made (Crazy Taxi, Crazy Taxi 2 and Crazy Taxi 3: High Roller) they could make the ultimate compilation pack for the Wii and utilize the Wii wheel with it. Using the wheel would be great for the control scheme because it would hearken back to the days of the original game in the arcade. Adding in all of the cities from the games and giving the gamer the choice of which city to drive in and all of the Crazy Box/Pyramid courses would be great. 3. The original voice actors for Axel, B.D. Joe, Gena and Gus would need to be the same. They were changed after the first game when you could unlock them in the second game. If they could fix those potential problems and reintroduce the addictive and fun qualities of the first game, I’d buy it in a heartbeat.